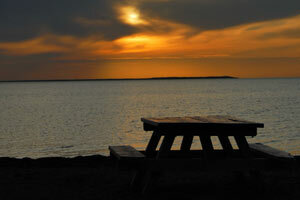 Located in beautiful Nova Scotia and overlooking the picturesque Northumberland Strait. Malagash is a quiet rural community just off the Sunrise Trail between Pugwash and Tatamagouche. A scenic 1.5 hour drive from the Halifax or Moncton airports. The warm waters of the Northumberland Strait are perfect for many water activities including kayaking, sailing and of course spending time at one of our beautiful sandy beaches. The warm waters also create an idyllic setting for growing grapes. Jost Vineyards has earned a reputation for producing world class wines, find your favorite at their complimentary tasting bar and enjoy on their patio overlooking the vineyard. Share in the history of the local area at the Malagash museum, participate in the sand castle competition or one of Josts famous festivals, enjoy walks on the beach or just watching the sun set over the water. Malagash is perfectly situated for exploring the Northumberland shore as well as nearby communities of Tatamagouche, Pugwash, Wallace and Wentworth. Enjoy 1st class accommodations on your own private beach and explore everything Malagash has to offer. There are no Posted events.